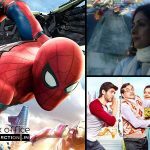 At the time when most of Hindi offerings are struggling at Indian box office, the English movie Spider Man Homecoming started on a good note and showed fair growth over the weekend. 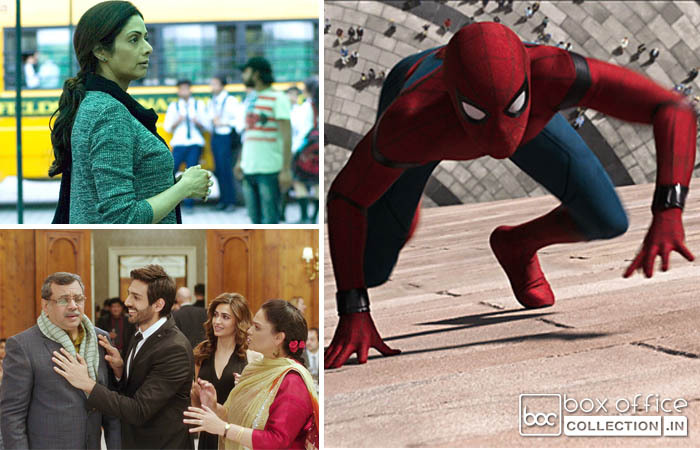 Despite having two Hindi movies Mom and Guest Iin London in opposite, it attracted major segment of audience and also received positive reviews from them. 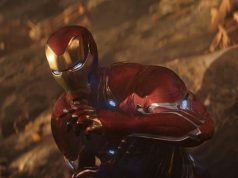 In the opening weekend, Tom Holland – Robert Downey Jr. starrer this American action adventure remained strongest among all new releases and fetched the business of total 28.66 crores, that included 2.16 crores of Thursday previews, 7.20 crores of Friday, 9.60 crores of Saturday and 9.70 crores of Sunday. Now it has been entered in weekdays and started getting lesser footfalls than before, but still has good hold over the Indian audience. 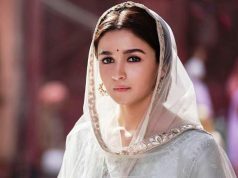 On Monday, the movie recorded around 37.5% of drop than Friday and collected the amount of 4.50 crores to raise it’s 4 days total business to 33.16 crores nett. 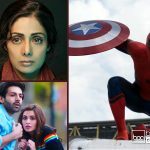 On the other hand, Sridevi – Nawazuddin Siddiqui – Akshaye Khanna starrer suspense thriller Mom also received positive reviews from critics as well as audience and recorded impressive growth over the weekend due to positive word of mouth. Ravi Udyawar’s directorial it raked the business of 14.40 crores in the opening weekend, with 2.90 crores on Friday, 5.08 crores on Saturday and 6.42 crores on Sunday. Now in weekdays, the movie dropped by considerable rate and minted the amount of 2.52 crores, made it’s 4 days domestic total as 16.92 crores. 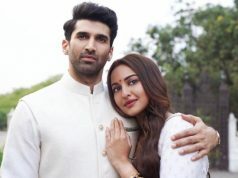 While Kartik Aaryan, Kriti Kharbanda, Paresh Rawal and Tanvi Azmi starrer Guest Iin London received mixed reviews and started it’s journey on an average note. 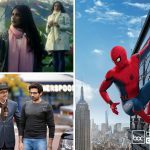 In the opening weekend, it did the business of 7.95 crores, that included 2.10 crores of Friday, 2.75 crores of Saturday and 3.10 crores of Sunday. Now it has been entered in weekdays and due to normal working days, started getting lesser footfalls in theaters. On Monday with around 60% of drop than Friday, it garnered the business of 0.85 crore. After 4 days, total collection of Guest Iin London has become 8.80 crores.